The compact car category includes automobiles that measure a foot or shorter than mid-size family cars. People look to compact cars for economical transportation. Consumers find a low sticker price and exceptional gas mileage in this car category. People who want to save money in the purchase price and at the pump turn to compact cars for their transportation needs. Young families starting out and senior citizens on a fixed income buy compact cars. They’re easy to maneuver and parallel park. The Honda Civic was one of the first import cars to break into the American market during the gas crunch of the 1970s, and after gaining a foothold, this model has thrived in the US by producing quality automobiles with exceptional performance. Honda pioneered many features in the compact car class. The Honda Civic offers eleven packages in three trim levels. There’s a package for everyone. We’ll look at the basic trim level, the LX, and the up market EX to show how they compare. Both models share the same power-train, frame and suspension with a few subtle differences. The power-train is a new 2.0 Liter 4-cylinder DOHC attached to a continuously variable transmission. You can pay less for the manual transmission with the LX if you like driving a stick. Both cars get a remarkable 42 mpg hwy/31 mpg city mileage number. Both share the 108 inch wheelbase on the front wheel drive frame with a multi-link front and rear suspension. The LX and the EX enjoy the benefits of all around disc brakes that improve handling and stopping action in the 2016 Honda Civic. For the LX model, disc brakes in the rear are new in 2016. 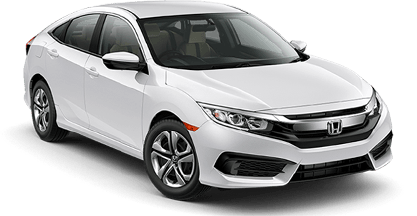 Honda redesigned the 2016 Honda Civic exterior to reflect more aggressive, lower profile car bodies with powerful lines sweeping back from the hood. With LED daytime running lamps and C-shaped LED tail lights, the new Civic looks sharp indeed. The LX’s steel wheels and covers compliment the new exterior. The EX runs on attractive alloy wheels, comes with heated side mirrors and a one-touch power moon-roof. It might be tough to tell the two trim levels apart if compared side by side, but look closely and you’ll see the difference. 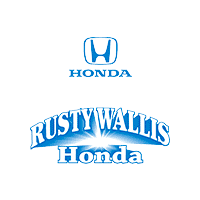 Both trim levels offer outstanding value. The new body isn’t just about style. The engineers at Honda dedicated their work to safety enhancements. They redesigned the front end to distribute the impact of a front-end collision more evenly across the front structure, starting with the bumper. A tire pressure monitoring system alerts drivers to low tire conditions. The rear camera system has added top-down and wide angles coverage to their normal camera angle and made it standard on all Civics. 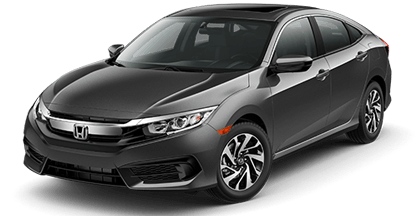 The Honda Sensing Suite is available to LX buyers as an option, and includes lane assist, adaptive cruise control, collision warning, collision mitigation and more. The EX comes with the Honda Lane-watch system as part of its significant technology package in 2016.